Delicious eatable cups, made entirely of chocolate, and with cherry cheese cream inside. Effortless and fun to make at home. Melt the chocolate, on cooker using low heat or in microwave, just make pauses after minute and then every 20 seconds to stir chocolate for evenly melting. 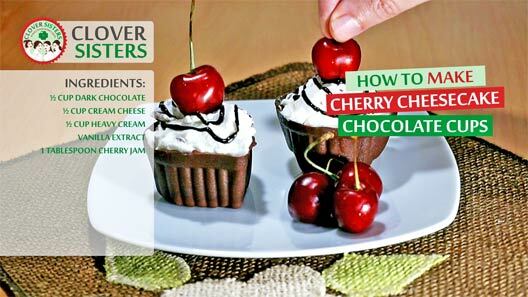 Add enough chocolate into cup mold or any mold you like. Coat the sides of the molds by rotating at angle. Let it cool down on room temperature or much faster in refrigerator. Remove from molds. 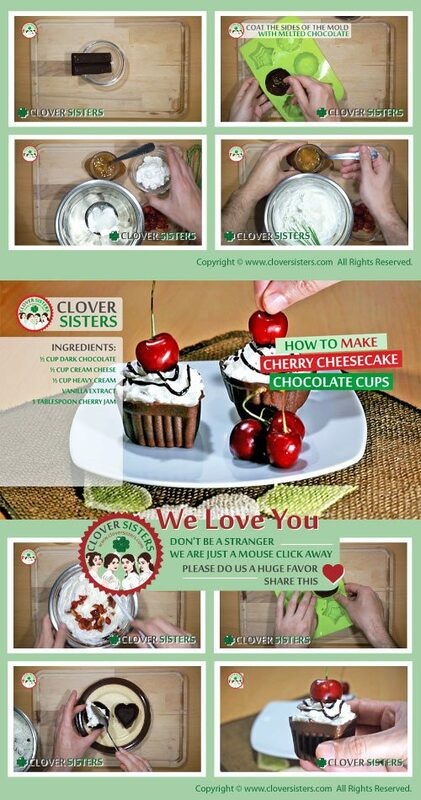 Whip the heavy cream, add the whipped cream cheese, vanilla extract and cherry jam. With this flavored cream fill the chocolate cups.